Virtual Reality (VR) is a technology that operates in between film, visual arts, gaming and other disciplines. 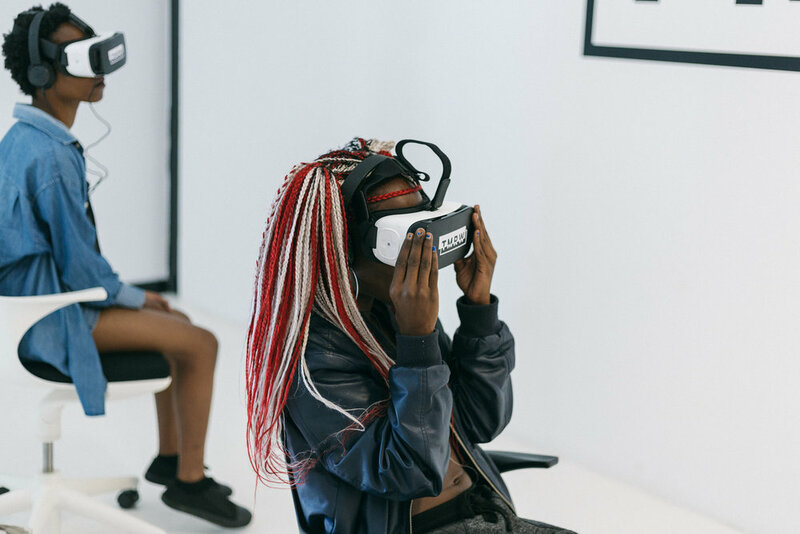 Electric South and the Goethe-Institut present New Dimensions – Virtual Reality Africa, a selection of Virtual Reality (VR) productions from Kenya, Senegal and Ghana. Each of these works offers a view of the vibrant, diverse and ever-changing cultural landscape of contemporary Africa. Included is the VR work Spirit Robot by Ghanaian science fiction author and founder of the Afrocyberpunk website Jonathan Dotse who explored the Chale Wote Street Art Festival in Accra. The festival is driving an art renaissance in the city’s public spaces. Kenyan photographer Ng’endo Mukii produced a poetic city symphony on Nairobi in the VR piece Nairobi Berries, consisting of her lyrical voice-over alongside surreal, layered images of the city. Her synopsis reads “In the empty spaces we cannot claim as our own, in forests full of smoke and beneath still waters, two women and a man wrangle. Each must hollow out the other’s core for fruits promised but only ever borne in dreams. For this is Nairobi, the city we call home.” Senegalese fashion designer Selly Raby Kane presents a magical 360 piece, in which a little girl is chosen to discover the invisible Dakar. Kenyan “The Nest Collective” created an interactive work set in the distant future, when a group of Africans leave the Earth to create a new colony.